If you thought puberty was tough, try parenthood. That’s the impression I walked away with after seeing Pixar’s “Inside Out.” My 4-year-old, of course, had a completely different take. The story on paper seems a little crazy. Five emotions – Joy, Sadness, Anger, Fear and Disgust – control the mind of Riley, an 11-year old girl who’s making a stressful move from Minnesota to San Francisco. No talking snowmen. No singing princesses. It just seemed like a lot of math. And a whole lot of post-movie questions that I was ill-equipped to answer. Not to mention all the tweets about the film being a real tearjerker. 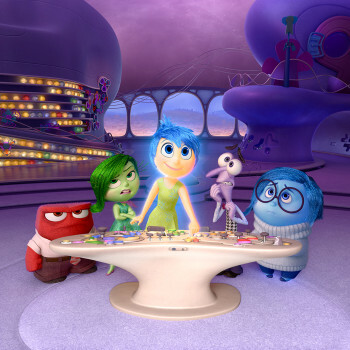 This was par for the course for director Pete Docter, who previously made us sob in public with “Up” (one of the saddest opening scenes ever) and “Monsters Inc.” (one of the best last scenes ever). Did I really want to subject my 4-year-old to that? 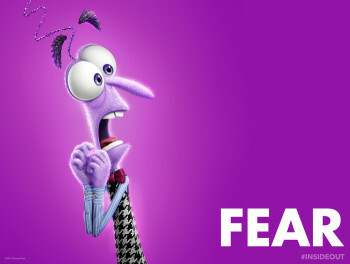 I liked Fierce (she calls “Fear,” “Fierce”). 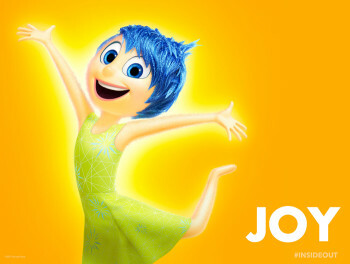 And Joy. Why did you like Fear? Because he fell down and bonked his face. She loved the film. It was dazzling, channeling the pure, visual creativity of Hayao Miyazaki (“My Neighbor Totoro,” “Spirited Away”) like no other Pixar film. It featured strong female characters like “Frozen.” It was funny and poignant. And I can honestly say, as a jaded, part-time screenwriter, I had no idea where the story was taking me. 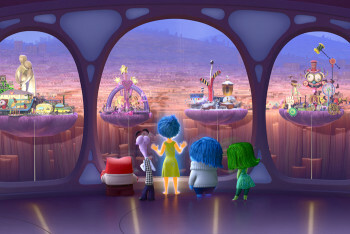 And that’s the dirty little secret of “Inside Out.” While my daughter loved Anger going ballistic and the Dream-Boys saying, “I would die for Riley,” what she didn’t get was this was a movie that was really for PARENTS. It’s a film about watching your child lose their innocence and transition to their teens. It’s about the fragility of memory and how ephemeral those moments are. It’s about how there can be no joy without sadness. And yes, there is one particular scene that really makes you long for some Kleenex. At that moment, out of nowhere, my 4-year-old actually reached up to feel my face. She wanted to see if I was crying. She wasn’t. But I sure was. All that stuff flew way over her head. The scene where we get to see the emotions that control Riley’s parents was a true jab right at the parentals. We all know Joy controls the youthful Riley. But in her dad’s head, Anger runs the show. 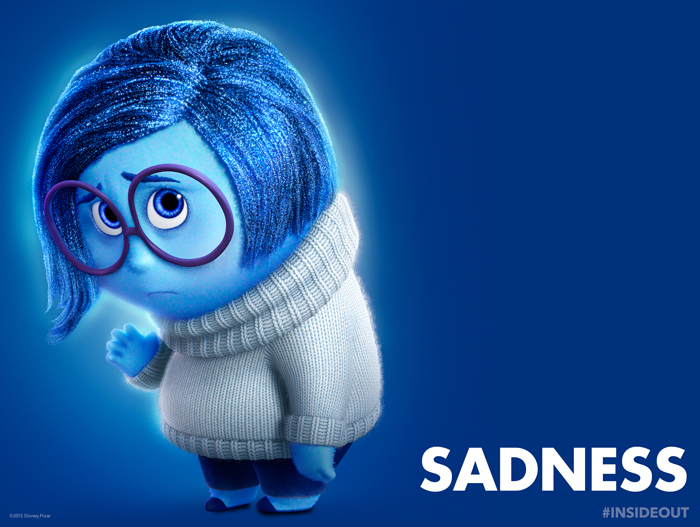 In her mom’s head, Sadness is in charge. It’s a bit cynical, but true. As grownups, we lose our Joy. It’s advice all parents could probably use for themselves. 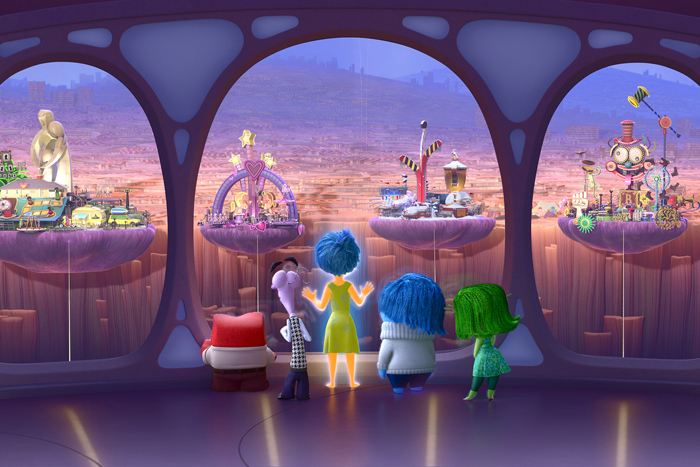 Watch “Inside Out,” currently in theaters.